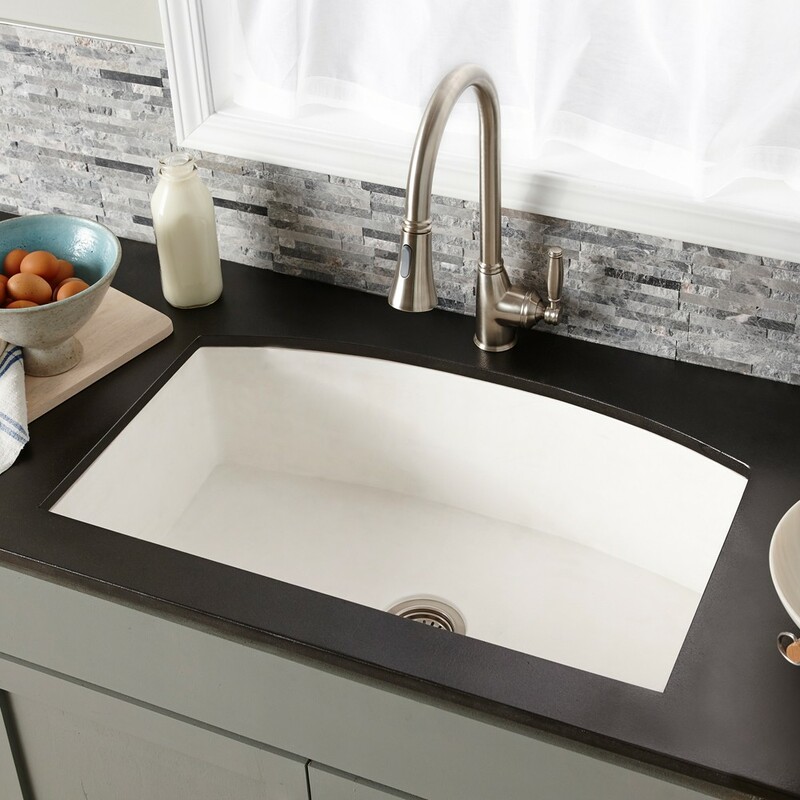 A one-of-a-kind handcrafted curved apron front kitchen sink designed with four installation options. Quartet’s beautiful bow-edge can be installed in the front or back, apron-style or behind the counter. 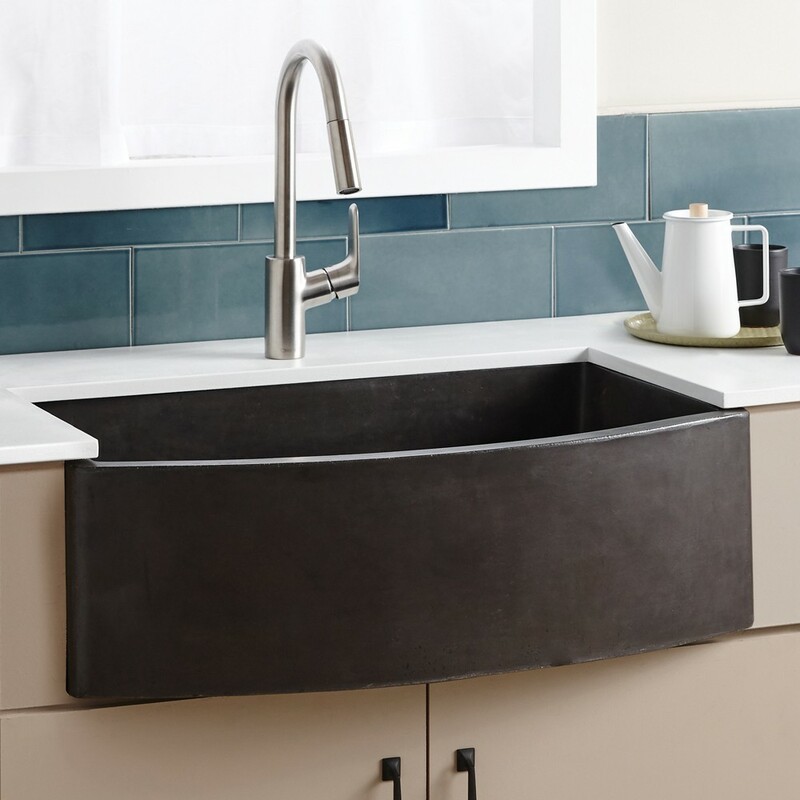 Quartet is handcrafted of NativeStone®, a sustainable combination of natural jute fiber and cement, producing an extraordinarily strong material while creating a dramatically lighter product - approximately 40 percent less than standard concrete sinks. Finished on all four sides. Please note: Due to the thickness of this sink, the DR340 Disposer Strainer and the DR320 Basket Strainer are the only strainers guaranteed to fit. A disposal is accepted as long as it is not over-tightened. Improper disposal installation may cause hairline cracks. Mounting hardware is not included.